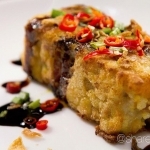 Yam Cake, also known as Taro Cake, is a pretty popular Chinese dish which can be easily found in dim sum and yum cha restaurants. It’s usually served in pan-fried style with chilli sauce and black soy sauce as the accompany sauces. Frankly speaking, this dish deserves more credit than how the restaurants have been serving them. We came across Diana Gale’s blog and she has tons of recipes on her blog! Do check it out. She had a recipe for a rather special mix of yam cake. The yam isn’t alone, as it’s now accompanied by the pumpkin! With her permission, we adapted her recipe , cooked and filmed in our Share Food Studio. 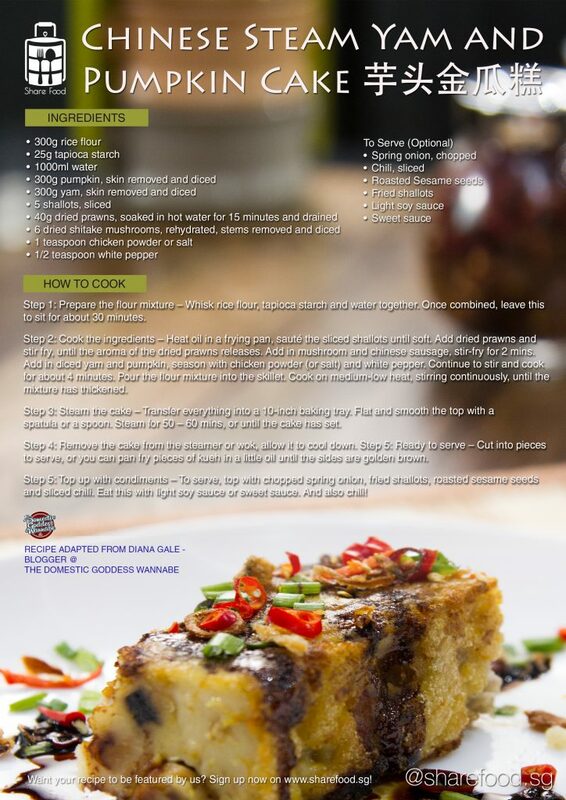 After steaming the yam and pumpkin cake, we pan fried it and serve with dark sweet sauce and.. oh my… it’s really really crispy on the outside, soft on the inside, with the pumpkin pumping in the sweetness, giving the dish a different feel altogether. 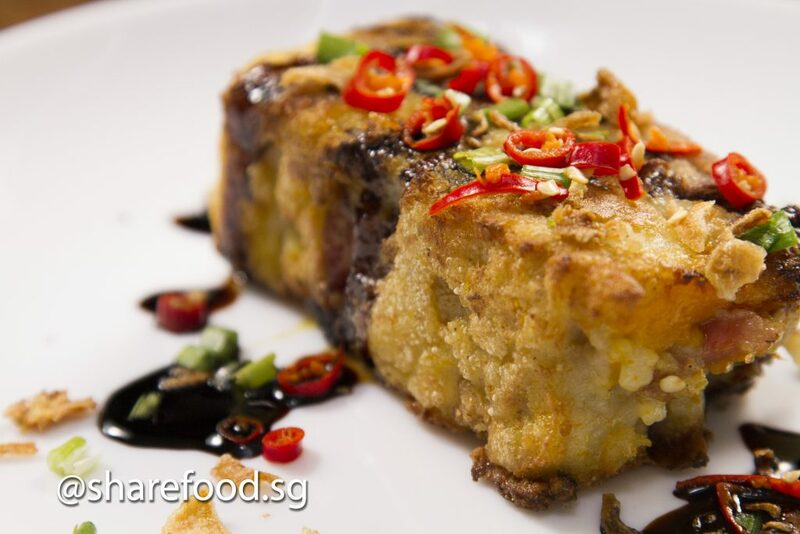 Both yam and pumpkin are relatively affordable here in Singapore, why not give this dish a try this weekend? After steaming the yam and pumpkin cake, we pan fried it and serve with dark sweet sauce and.. oh my… it’s really really crispy on the outside, soft on the inside, with the pumpkin pumping in the sweetness, giving the dish a different feel altogether. Recipe adapted from Diana Gale, blogger of The Domestic Goddess Wannabe.